Their stories, phrases, and scenes are a part of our culture. We all have favorite movies, favorite memories relating to movies, and in some cases movies that help us define our lives. While you may not think about it, movies have probably enriched your life. Learning is one of the most important parts of life. In fact, the ability to learn in a multitude of ways is one of our most human qualities. We learn best when we are immersed in a situation, actively involved in the learning process. Movies can help us learn because they wrap us up in a story. If you`ve ever jumped or screamed or cried during a movie, you`ve experienced the power of film. There are some general questions that can be helpful when reviewing a movie - whether to reflect personally or to spark a conversation. These questions can be used with any movie and can be, by themselves, the foundation of meaningful learning opportunities. What was/were your favorite scene(s) and why? What did you like/dislike about the movie and why? If you`ve seen the movie before, how was your experience of the movie different from past viewing(s)? What struck you the same or differently? What scenes made you laugh or cry (if appropriate)? Why? Which characters, if any, do you identify with in some way? What about this movie or story reminds you of your life experiences? What if anything will you do differently, or think about differently, since watching the movie? What insight do you gain from this movie? What in this movie inspires you? The question "If you`ve seen the movie before, how was your experience of the movie different from past viewing(s)? What struck you the same or differently?" is included to help you examine your filters. Often by thinking about these filters, movies can help you reflect your own growth and change over time, as well as how current situations are shaping you. While you can do the first two tasks by yourself, I`m guessing you often watch movies with other people, so it`s natural to consider having a conversation with others about a movie. Of course, this happens naturally already, either with the people you watched the movie with or around the coffee pot when you all realize you`ve all seen the same movie. 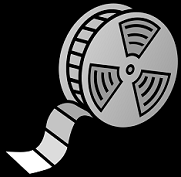 Since conversations about movies are natural, all I am suggesting is that you consciously extend and/or facilitate the discussion so that everyone can take lessons and insights for their own lives from the fiction you`ve experienced on film. Encourage them to approach the conversation with a spirit of inquiry, not of debate. Conversations usually aren`t very fulfilling when everyone has the same opinion, so encourage people to share their thoughts, even if they seem "way out" or different from the opinions of others. When you set up the conversation that way, you are well on your way to a great interchange and much new learning for everyone. Potential Pointer: Movies are a part of our lives, whether you watch several a week or haven`t been to the theater in years. Because movies provide a rich sensory experience of a story, they provide a wonderful platform to learn when you take the time to intentionally extract lessons from them. Reflecting on movies is a fun way to learn powerful leadership ideas. Another way is by participating in a free 2-month Silver Membership trial in Kevin Eikenberry’s Remarkable Leadership Learning System at http://www.remarkable-leadership.com/campaigns/kick-start-system.asp. Kevin is an author, speaker, trainer, consultant and the Chief Potential Officer of the Kevin Eikenberry Group (http://www.KevinEikenberry.com), a learning consulting company that helps organizations, teams and individuals unleash their leadership potential.